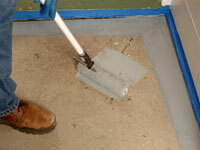 Painting concrete floors is a great way to dress up, seal, or protect this sturdy flooring. Knowing how to paint concrete floors can make the difference between a stylish statement and a mess. You’ll need a stir sticks, a couple of 2-1/2-inch synthetic angled sash brush, a telescoping extension pole, two roller covers, a roller cage, a 5-in-1 tool, a roller tray and liners. You also need a primer and a finish paint. 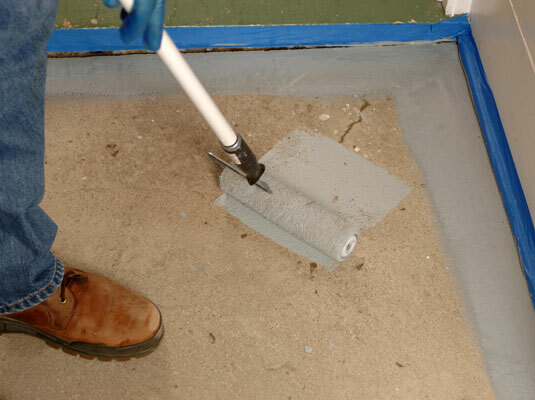 2Cut in the edges of your room with your primer. Once you’ve prepared the room, begin at the corner farthest from the door and cut in the edges of the floor with a 2-1⁄2-inch sash brush. 4Cut in the edges of your room with your finish paint. 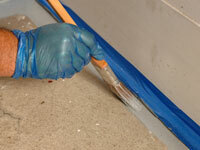 Use a clean 2-1/2-inch sash brush to cut in the finish paint around the perimeter of the room. 5Roll on the finish paint. Starting in the corner farthest from the door, roll on the finish paint using a roller with an extension pole. 6Let the paint dry overnight before walking on it. It’s best to let the paint cure for several days before moving in furniture or rugs. 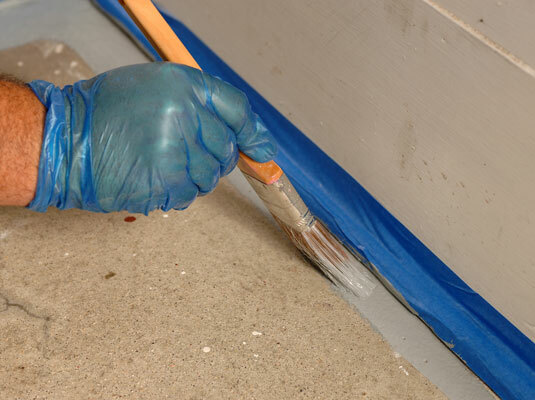 Use 180-grit sandpaper to sand out any imperfections on the floor, such as drips or brush strokes. The smoother the floor, the nicer your finished project will look.